A 14 year-old schoolgirl was hit by a tram while standing on a central reservation on Princes Street around 5pm last night. Police Scotland are investigating the on-board CCTV footage of the incident. The Edinburgh Short Film Festival starts tomorrow. This year the festival will screen 58 short films, representing filmmakers from 18 countries around the world. The programme includes 26 UK premieres and the world premiere of ‘Unbearable’ by Khaliq Akbar and 23 award-winning films. 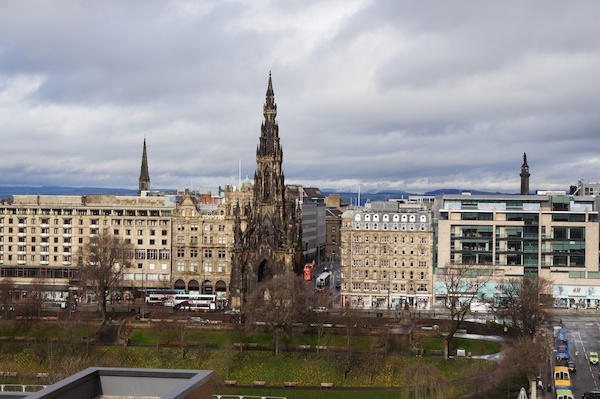 The Edinburgh Festival of Cycling gets rolling next week and you are encouraged to book now for one or more of the many events that are organised for the ten days between 12 and 22 June. Dancers in Musselburgh can get in the swing of fundraising for Barnardo’s Scotland at a Vintage Dance Night at The Brunton’s Venue 1 on 28 June. Whether you’re a ‘strictly’ or more of a ‘stumbly’, come along and learn the popular dances of the 1920s and 1930s in what promises to be a fun-packed night for everyone. The Eliot Murray Big Band will transport ballroom and swing fans back in time at the event, with the Fly Right Dance Co leading the way to make sure even the beginners among you stay in step, and Barnardo’s Scotland will benefit from twenty per cent of ticket sales and all proceeds from the raffle on the night. Today and tomorrow at Summerhall there is a free exhibition in the Small Animal Hospital. Summerhall have just announced their programme for the Fringe – and the Fringe programme itself is launched this morning… more of that later!